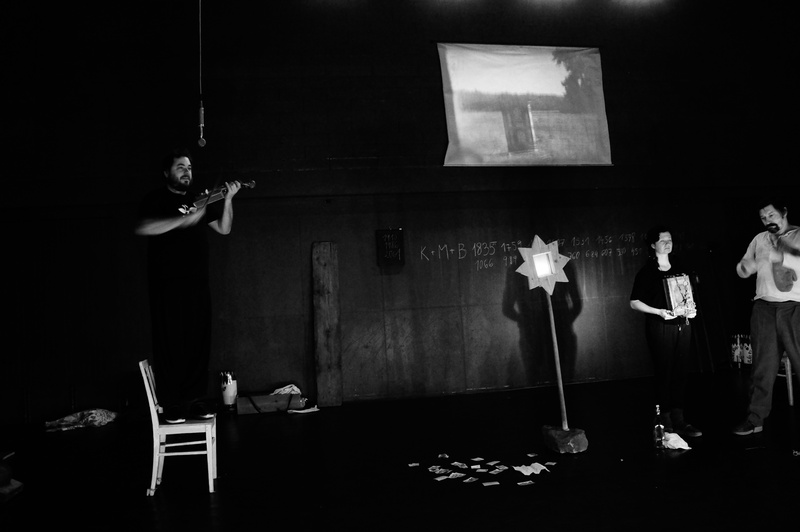 In this performance Handa Gote continues to explore European imaginative traditions and sources of inspiration closer to home. 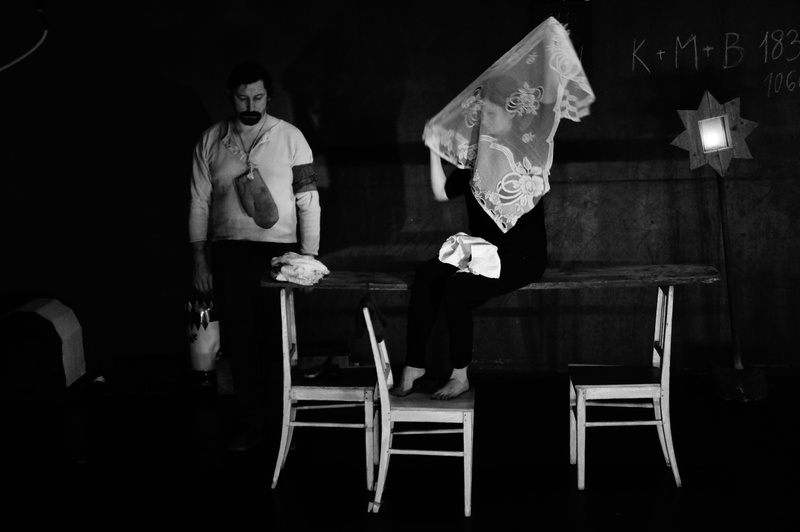 The group draws from a text by mid-19th Century Czech poet Karel Jaromír Erben, in which he described his dreams, as well as other Czech Romantic texts, though none of these are actually spoken in the performance. The staging approach is influenced to some extent by Noh traditional Japanese theatre. Not by its aesthetic per se, but by its philosophy and procedures for dealing with the situation onstage: Noh philosophy works as a starting point for considering stillness, stylization and simplicity. Painter Paul Klee once described this kind of theatre as „moving statues“. 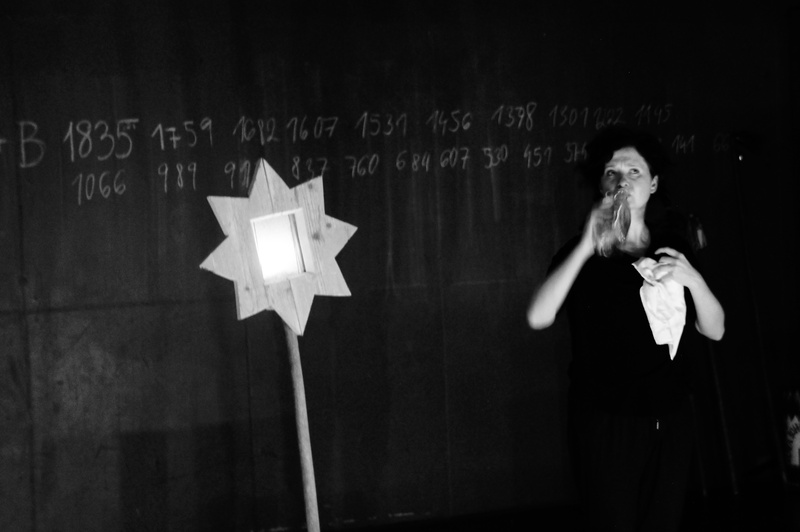 Erben: Dreams is also inspired by folk theatre, folk traditions and amateur village theatre. Typical Central European carnival characters find themselves here in unusual contexts. 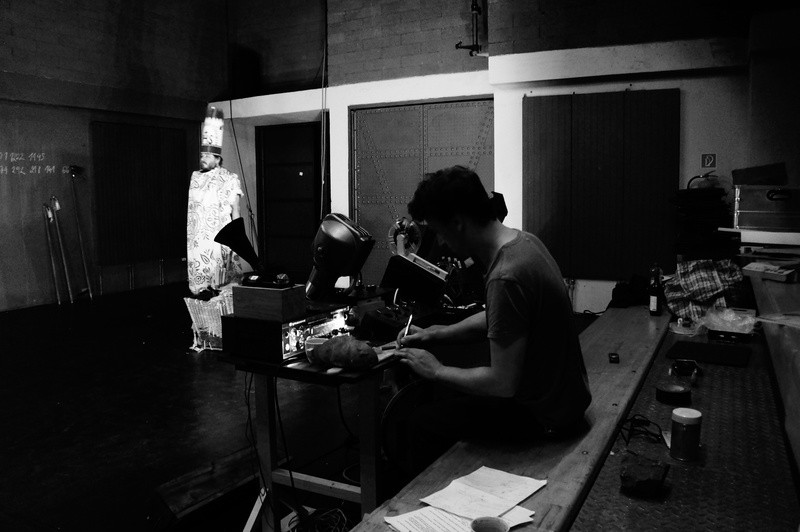 Technology in the project is reduced to several essential elements: the microphone, mechanical phonograph, a simple projector with glass negatives. 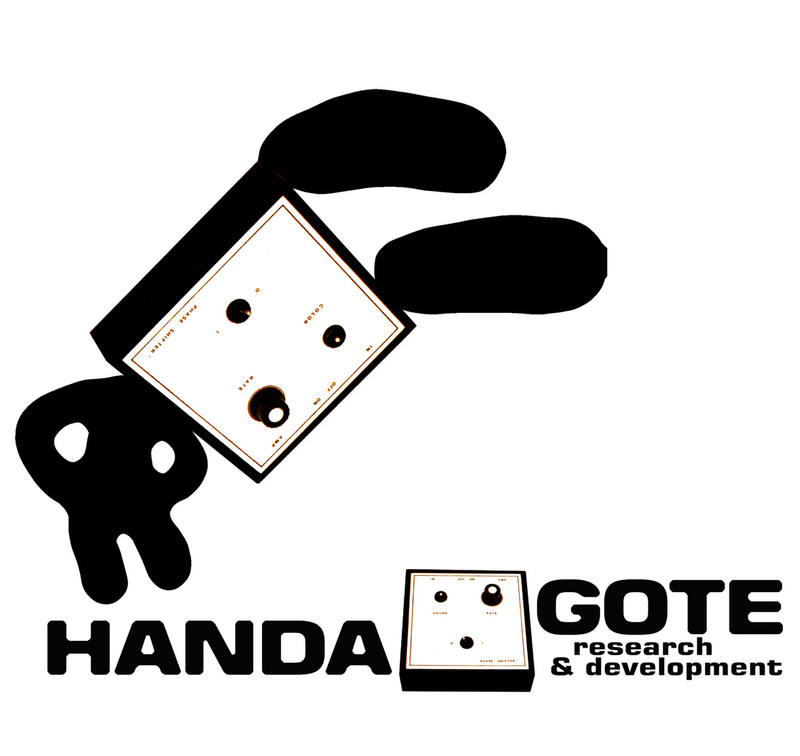 As in its earlier works but especially its most recent, Mutus Liber (2015), Handa Gote‘s focus is on„handiwork“. Craftsmanship is the starting point, to which the groups returns frequently, developing it further. 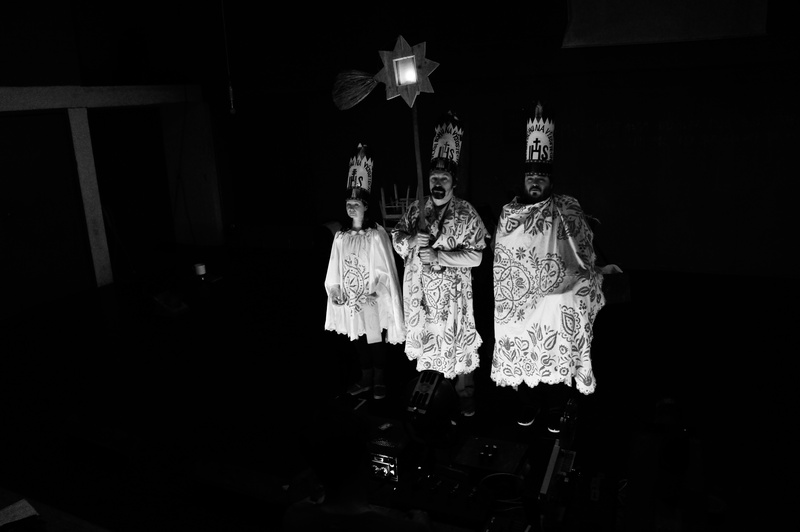 In addition to folkloric inspiration Handa Gote draws also from the surrealistic imagination in the films of Alejandro Jodorowsky.